Litcom was enaged to support Dynacare’s enterprise-wide planning process that consolidates strategic initiatives to be considered for the following fiscal year (2016). The engagement included assessing, prioritizing and identifying resource requirements for 60+ initiatives brought forward by I.T. and the lines of business. Resource capacity planning has been an ongoing challenge due to a lack of formal tools and processes. 60+ enterprise and functional initiatives submitted with varying degress of scope definition and project approach. Resource requirements estimated with varying degrees of standardization and accuracy. Difficult and time consuming to assess full resource requirements across all initiatives in a short period of time. Defined a standard set of skill sets to be used to identify resource requirements during planning. Reviewed and revised skill requirements for initiatives using the standard skill sets defined, for the 60+ initiatives. Skill set shortages were noted. Created a resource capacity model and a set of assumptions to identify resource availability to work on projects. Identified the headcount shortfall by comparing the total resource capacity against the resource demand for the initiatives. Improved methodology, process and tools for conducting future year resource planning. A more comprehensive understanding of enterprise resource capacity and resource demand. Standardized list of skillsets by functional and business area that can be used for high level planning and cross functional resource discussions. Resource capacity assessment model to determine organizational resource capacity to work on initiatives. List of skillset shortages for the intitiatives and additional resource requirements for overall efficient project delivery were identified. Recommendations on how to used the standardized skillsets and resource capacity model to review timing conflicts and assess resource carryover utiliziation requirements, once the initiatives are agreed upon. 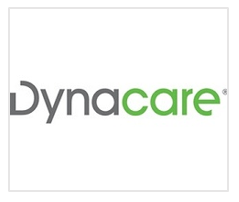 Dynacare (formerly Gamma-Dynacare Medical Laboratories) is one of Canada’s largest, most established health solutions companies with a history that spans more than 50 years. Headquartered in Brampton, Ontario, they have operations in Quebec, Ontario, Manitoba, Saskatchewan, Alberta and British Columbia.